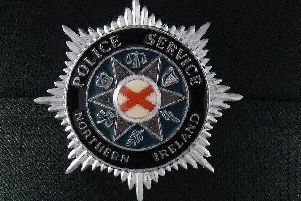 A 28-year-old Limavady man was sentenced to six months in jail this week at Limavady Magistrates Court despite a “plea for mercy” by his solicitor. John Christopher Barry Neill of Gorteen Crescent in the town was sentenced on Wednesday for assault on a male on December 8, 2012. The injured party asked the defendant to leave, but he refused. The court heard Neill punched the male in the face and grabbed him in a headlock. He then put him into a chokehold and tried to gouge his eyes, the court heard. Police arrived on the scene and Neill was arrested. When Neill’s solicitor said his client accepted he was in serious difficulty, District Judge Liam McNally said Neill was “out thumping somebody because he can’t control his temper”. The defence solicitor said he was asking for a “third chance” for Neill to end “the cycle of offending”. Judge McNally said it was the second time Neill had received a suspended sentence and if he didn’t impose it, it made a mockery of the court. Neill received three months jail for his guilty plea, plus the three month suspended sentence consecutive to that, making a total of six months in jail.